I’ve recently been feeling in need of a personal development boost, so I looked across the internet and found CG Master Academy, a provider of online education for digital art production. They have a great range of 2D and 3D courses for characters and environments to choose from. I was very much excited by the Intro to Environment Art course, taught by Naughty Dog Environment Artist Andres Rodriguez, as it taught a lot of the skills that I have really been wanting to learn. Over the course of 10 weeks, we will be working on our own version of a doorway or gate and going through the whole process of designing and creating high quality game assets. 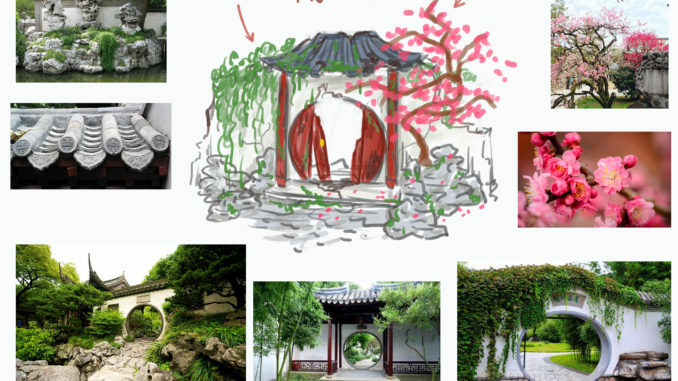 For my design I went for a Moon gate, a traditional architectural feature often in Chinese gardens. I look forward to sharing the finished piece in a few weeks time! I’m a member of BAFTA Crew Games!